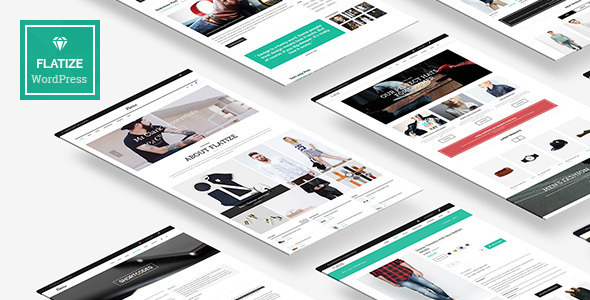 Flatize is a Responsive Fashion eCommerce WordPress Theme theme exclusive for a shopping site. We’ve happened to see many e-commerce websites with confusing images, and not sufficient customer usability. While your site is the face of your business, not only does it have to be convenient but it has to look good. So the concept of Flatize is simple, modern, minimalist and balmy looking, but still constitutes sufficient features of an e-commerce site with products, carts, advanced search..